The Stanford-Binet was given to 103 younger children between the ages of 5-8. IQ on this test was 84.6. The Wechsler Intelligence Scale for Children was given to 257 children between the ages of 9-15. IQ on this test was 81.5. The Wechsler Adult Intelligence Scale was given to 120 students ages 16-19. Intelligence scores were higher on the WAIS than on the other tests: 91.3. Older students also had a higher IQ on the Lorge-Thorndike. This pattern appears to be due to school drop outs; the rise in scores is not gradual, it occurs during secondary school. Virgin Islanders and mainland African Americans have similar subtest profiles. Verbal scores were 3.4 points higher than non-verbal scores on the Lorge-Thorndike, 5.4 points higher on the WISC, and 5.9 points higher on the WAIS. Another study from the 1960s describes the outcomes of The New York University-Virgin Islands Project in Education, which was an experiment in bringing mainland educational procedures to the Virgin Islands and adapting them for the local culture (Dejnozka, 1967 ). Children attending a school affiliated with the program were given the Lorge-Thorndike Intelligence Test. The average IQ of 49 first-graders was 90.3. Unfortunately, the sample sizes are not reported for the other grades, but the average IQ for grades 2-6 was 86.1. One final study is a student dissertation from the 1970s (Wells, 1977 ). Yvonne Wells gave 89 elementary school children the Otis-Lennon Mental Ability Test. Their IQ on this test was 101.6. Wells reports the names of the two schools that supplied her sample: Julius Sprauve and Guy Benjamin. I wondered if maybe these schools had atypical demographics. There isn’t an easy way to find this out, however Rowe & Thorndike (1963) do report the average IQ of all the different schools in their survey of the entire territory. There is no mention of a Guy Benjamin, but they do report scores for Julius Sprauve (p. 86): the average IQ of this school was about 86. So it’s not obvious why IQ is so much higher in this study. It doesn’t make much of a difference, Rowe & Thorndike (1963) is so much larger than Dejnozka (1967) and Wells (1977) that it swallows them up in the weighted average. So based mostly on one good but very old study, the average IQ of the United States Virgin Islands is 82.2. Racial data was collected, but since almost all white children in the Virgin Islands attend private schools, the sample sizes do not permit an estimate of white scores; the NAEP only reports subpopulation averages if there is data available for 62 students minimum. Ethnic scores are available for blacks and Hispanics. Hispanics make up 20% of the USVI public schools and are mostly migrants from Spanish-speaking parts of the Caribbean like Puerto Rico and the Dominican Republic. Hispanics score a little below blacks, so the overall Virgin Island scores are slightly lower than the scores for blacks alone. If we combine all the tests into a standard score, US whites have an AQ (achievement quotient) of 100, African Americans have an AQ of 85.5, U.S. Virgin Islands blacks have an AQ of 79.5 and the U.S. Virgin Islands has an AQ of 78.6. Many college-bound Virgin Islanders also take the SAT, and their scores on this test are provided in annual “State Profile Reports” by the College Board. Combining the reports from 2011-2013 we have data for 3,071 Virgin Islanders; in comparison with mainland whites, the USVI AQ for reading is 83.4 and for math it is 78. The combined AQ is 80.7. Table II is a summary of Virgin Islands achievement data. Only the data from 1990 is included for the NAEP, since the published report includes sample sizes, while the online data explorer does not include this information for later years. This gives a weighted average AQ of 79.4, which is very close to the IQ estimate from Table I. The SAT reports also break down scores by race, giving us data for 137 USVI whites and 2,311 USVI blacks. A four-way standard score comparison for mainland whites, USVI whites, mainland blacks, and USVI blacks is shown in Table III. The difference between mainland blacks and whites is predictably 1 standard deviation. Mainland whites and Virgin Islands whites have virtually the same SAT scores (USVI whites score less than 1/10th SD lower). 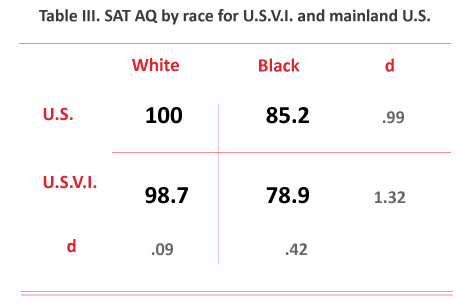 Virgin Islands blacks, however, again have lower scores than mainland blacks, and the difference for this more elite sample is almost identical to the NAEP gap (d= .40 for the NAEP, and .42 for the SAT). Consequently the black-white gap is larger on the Virgin Islands than it is on the mainland: about 1 and 1/3 standard deviation. A hereditarian explanation for this difference would be that African Americans have more European admixture than Virgin Islands blacks, but racial admixture is similar for the two populations. Benn-Torres et al (2013 ) report 16.9% European admixture for blacks on St. Thomas, which is approximately the average for African Americans (Parra et al, 1998; Reiner et al, 2005). Presumably Virgin Islands public schools are just worse than mainland public schools, especially when it comes to teaching mathematics (while the private schools that most whites attend give a comparable education). Channeling James Coleman, this could be explained by the demographics of the teaching staff in a territory where whites are the minority: the achievement scores of teachers are functionally related to the achievement scores of students. Information is not learned if it is not taught, and it can’t be taught if it is not understood. 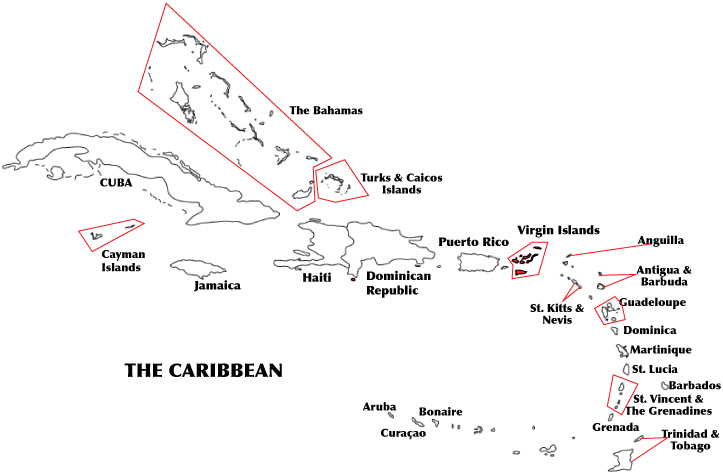 To the east of the U.S. Virgin Islands is the British Virgin Islands (population: 27,800), which is lumped with the USVI in the map at the top of the post. I have no data for this tiny overseas territory. Benn-Torres, J., Stone, A.C., & Kittles, R. (2013). An anthropological genetic perspective on creolization in the anglophone caribbean. American Journal of Physical Anthropology, 151, 135-143. Dejnozka, E.L. (1967). Demonstration School in the Virgin Islands. Elementary School Journal, 67, 296-302. Educational Testing Service (1991). The State of mathematics achievement in the Virgin Islands : the trial state assessment at grade eight. Washington, DC, USA: National Center for Education Statistics. Parra, E.J., Marcini, A., Akey, J., Martinson, J., Batzer, M.A., Cooper, R., … & Shriver, M.D. (1998). Estimating African American admixture proportions by use of population-specific alleles. American Journal of Human Genetics, 63, 1839-1851. Reiner, A.P., Ziv, E., Lind, D.L., Nievergelt, C.M., Schork, N.J., Cummings, S.R., … & Kwok, P.Y. (2005). Population structure, admixture, and aging-related phenotypes in African American adults: the Cardiovascular Health Study. 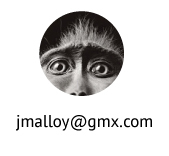 American Journal of Human Genetics, 76, 463-477. Rowe, R.R., & Thorndike, R.L. (1963). Virgin Islands intelligence testing survey. NY, USA: Institute of Psychological Research, Teachers College, Columbia University. Wells, Y. (1977). Factors associated with reading achievement on St. John, Virgin Islands. Unpublished master’s thesis, College of the Virgin Islands, USA.